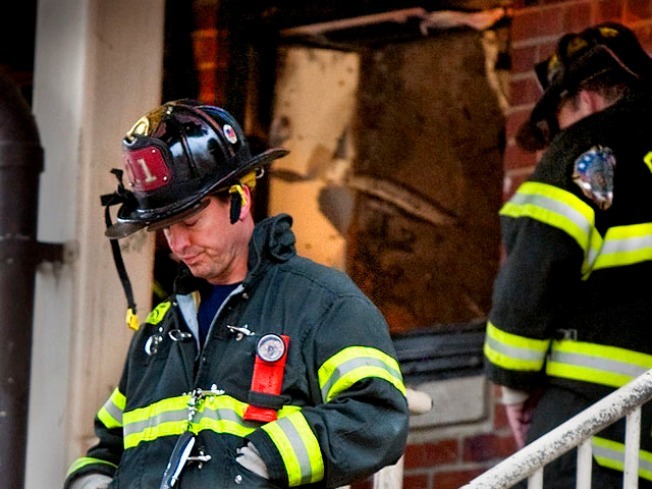 A young Bridgeport mother had been drinking alcohol before she and her three young children died in a fire last November, and that likely played a role in her inability to escape, Connecticut fire investigators. Tiana Black, 22, her 5-year-old and 4-year-old twins died in the Nov. 13 fire at the P.T. Barnum Apartments. The Connecticut Post obtained reports regarding the fatal fire through a state Freedom of Information Act request and they state the cause of the fire in Black’s apartment is listed "the result of carelessness," that a rear burner on the apartment's gas stove had been left burning and ignited the kitchen counter and cabinets. The report does not cite Black’s exact blood-alcohol level, the Post reports, but officials wrote that the level "would likely have impaired her ability to respond appropriately to the initial alarm and to the fire itself." Fire Department sources tell the Post Black's blood-alcohol level was above 0.08 and that they found a rum bottle, three-quarters full, on the floor of the dining room. On the kitchen floor, they found an open container of fruit juice mixed with an alcoholic beverage. On the day of the blaze, Fire Chief Brian Rooney told NBC Connecticut that neighbors heard the alarms early that morning and banged on the family's door to try to get them to come out. The door was locked, he said, and firefighters had to break a window to get in. "This report speaks for itself," Mayor Bill Finch told the Post when a reporter asked about the investigation. "As mayor and as a fellow Bridgeporter, the victims of this tragic incident and their families will forever be in my thoughts and prayers."